This fall’s Call of Duty: Black Ops 4 will essentially be multiplayer-only, lacking the kind of single-player campaign that has been a key component of the annual series for over a decade, two sources familiar with the game tell Kotaku, corroborating a report published earlier today at Polygon. Details are murky, and Call of Duty publisher Activision isn’t talking. “We don’t comment on rumor and speculation,” it responded via email to Kotaku today. 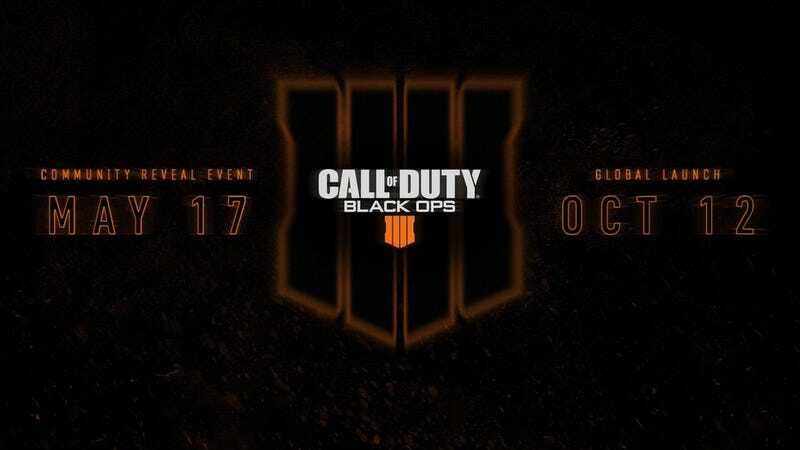 Recent Call of Duty games have been bursting with modes, including the increasingly the increasingly elaborate Zombies modes pioneered by Black Ops 4's lead studio Treyarch. Black Ops 3 already offered two-player co-op in that game’s campaign. UPDATE - 8:13pm: Added the word “essentially” to the lede in reference to the new game being “multiplayer-only”, as readers correctly pointed out that past zombie modes, while promoted for co-op have supported solo play. That’s actually how I’ve primarily played them, too and we don’t have any indication that a solo option would be dropped from zombies mode in the new game.